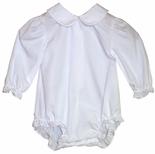 Girl's Monogrammable Pink Knit Bloomers Outfit By Paty, Inc. 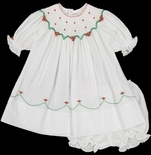 Girl's Pink And White Layette Baby Infant Gown By Paty, Inc.
Feltman Brothers Baby Girl's Pink Lace and Pleats Dress. 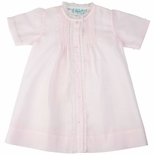 Feltman Brothers Baby Girl's Pink Peter Pan Collar Dress. Baby Gown, Sleeper And Sack in Pink Minky Dots. 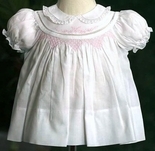 Baby Girl's Day Gown, Pink With Ruffles, Rosebuds By Maria Elena. 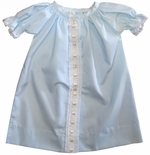 Baby Girl's Day Gown With Pink Ruffles, Rosebuds By Maria Elena. 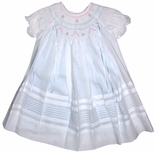 Baby Girl's White Day Gown With Pink Embroidery By Maria Elena. 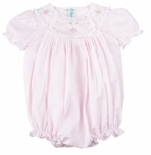 Baby Girl's Gown, Pink Coming Home or Day Wear by Lullaby Set.